Opening credits for a short film by Patrick Richardson Wright on architect Tom Kundig and his long-time client, photographer Carol Bobo. Shot at Shadowboxx, the Lopez Island, WA home designed by Kundig for Bobo and completed in 2010. For the story of the same name in the first issue of Pacific Standard Magazine. Interview by Amber Murray (Free Time Industries, Seattle Design Foundation); story photography by Kyle Johnson. Watch the film here. 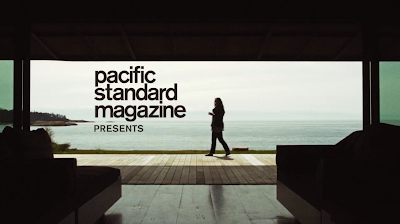 See more content from the first issue of the magazine at pacificstandardmagazine.com, and click here to order. Wonderful short.....thanks for giving us insight into the creative mind of a true genius!